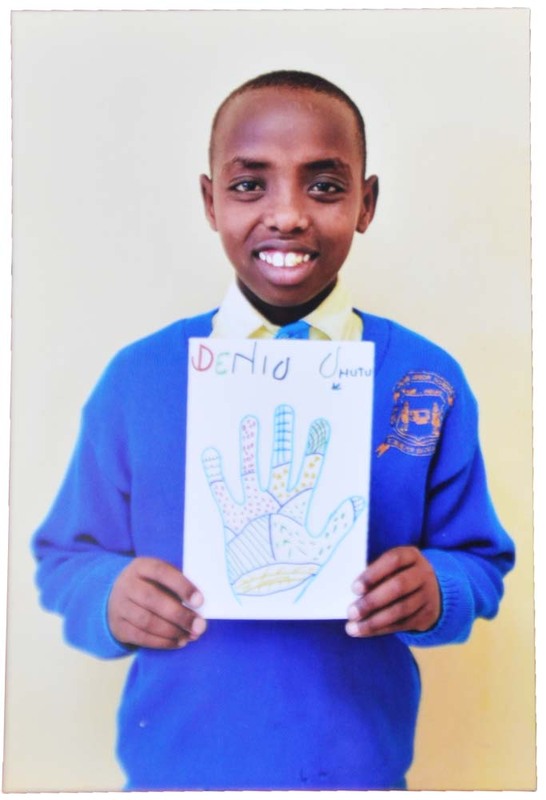 As part of our sponsor student series, we’re featuring pictures, updates and communications from those bright and driven students we send to school in Tanzania. Interested in helping a child attend school? Click the donate link at the bottom of this page. Hello Judy I hope you are fine? I am now in Tumaini Junior School. I am thirteen years old. My best subject is science. I learn six subjects. During my holiday I helped graze animals and I went to Olduvai Gorge. I learned many things in Olduvai Gorge. I saw many animals in Olduvai Gorge. I saw an elephant, I saw a giraffe, I saw a buffalo. I went to Olduvai Gorge on 06/May/2018. I like reading many books in the library. I read a book called Elephants of Africa. I like reading about science and I like reading about the digestive system. I like learning different sports like soccer and basketball. Donate toward a student’s education here! P.S. 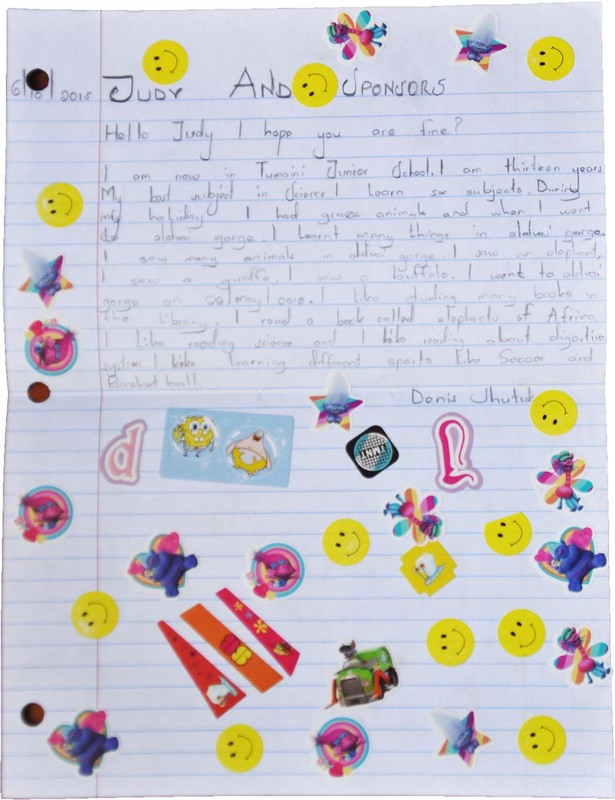 We are so impressed with our students’ skills in English, Swahili and writing, considering most have been raised in remote areas where only their native Maa is spoken and is rarely written or read.